James Hughes is a Chicago-based writer and editor whose work has appeared in The Atlantic, The Believer, and Grantland. He’s also the son of the late filmmaker John Hughes, which gives him a certain insider’s edge when it comes to pieces like this remembrance of John Hughes’ hockey fandom (why else did you think Cameron Frye wore a Gordie Howe jersey? ), or Chicago magazine’s newly published oral history of the John Hughes-penned Home Alone. 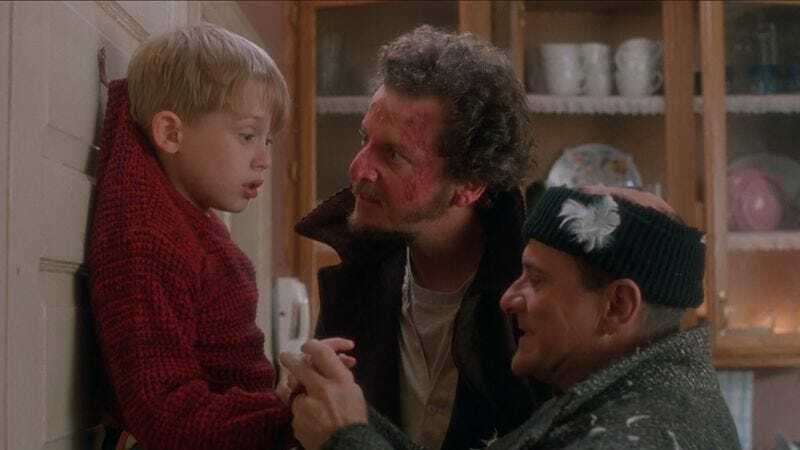 Commemorating the holiday staple’s 25th anniversary, the younger Hughes compiles the memories of several people involved with the production, including director Chris Columbus, stars Catherine O’Hara and Daniel Stern, and former 20th Century Fox chair Joe Roth. As told in “Holy Cow, Home Alone Is 25!” Roth picked up the tale of Kevin McCallister and his defense of the family home after the penny-pinching Uncle Franks at Warner Bros. refused to cough up an additional $700,000 to make the film. And look what they did, those little jerks: Home Alone went on to make $286 million at the U.S. box office, the highest-grossing live-action comedy of all time. You can read the rest at Chicago’s website. And if you want Macaulay Culkin’s take on the subject, you’ll have to track him down at that coffeeshop from The Jim Gaffigan Show. Just don’t tell him to keep the change, you filthy animal.